Despite the trashing he’s taken over the years, I’ve been a fan of Aquaman since I was a little kid. Moreoever, even though I’m not much of a fan of DC’s New 52 rebranding, I don’t have anything bad to say about Greg Capullo’s art in the Batman Endgame story which this action figure is apparently based on. 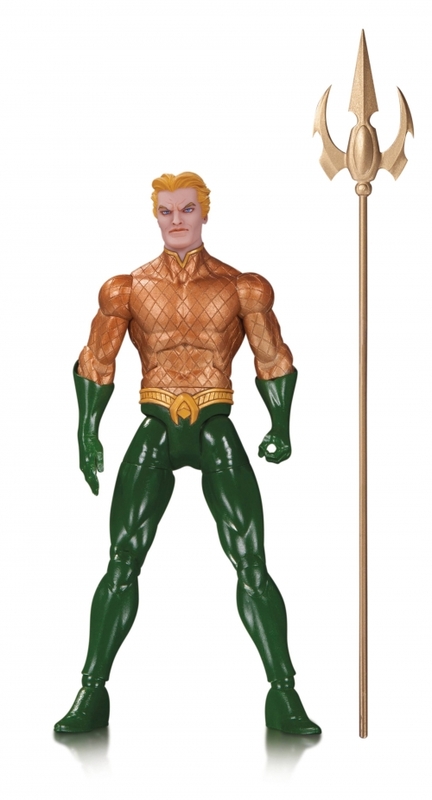 But this Aquaman figure is awful and bears only the most superficial resemblance to Capullo’s rendering of Aquaman. Look at the head sculpt there–that’s just hideous. 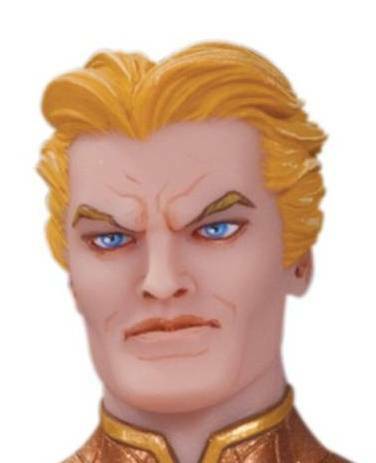 That looks like a movie toy in some evil alternate universe where Willem Dafoe was cast to play Aquaman. Or perhaps that’s really The Joker pretending to be Aquaman. Either way, the result is fairly hideous.